Like I've said earlier, I've got a long long adventure train ride to Chicago on Friday. My sister Dana suggested I make beef jerky to eat on the train, and she was right. It's a great great idea, for me to get some protein that I don't have to worry about eating before it gets to the wrong temperature and I get food poisoning. 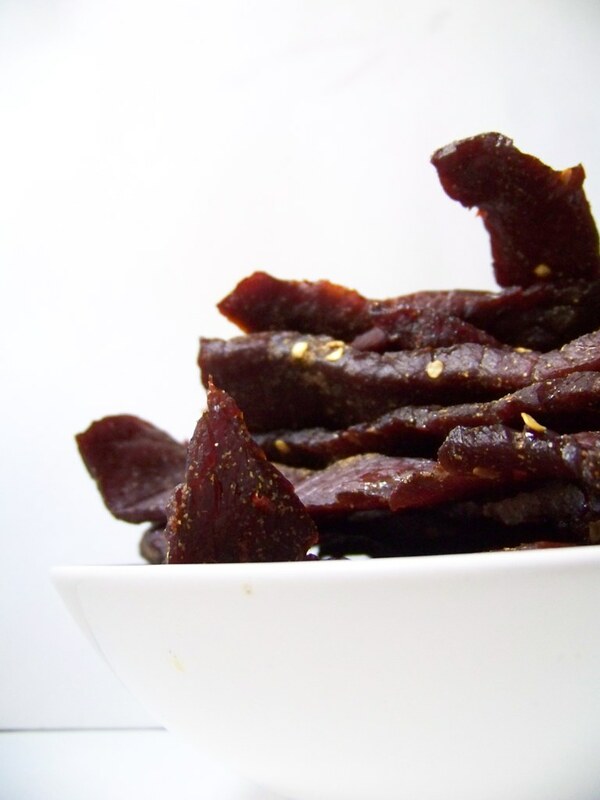 Jerky is simple and easy to make, and fairly hands off. Plus, its delicious. It's spicy and sweet and not terribly chewy like jerky sometimes is, making your face hurt. Ouch. Freeze the meat for about an hour, then slice thinly across the grain. Combine remaining ingredients and whisk until sugar is dissolved. Put all the meat into a ziplock bag or bowl, pour marinade over, squeeze the air out of the bag, and stick the bag in the fridge for the night. The next day, drain the meat for a half an hour. Line the bottom of the oven with foil, grease the racks lightly and then return to the oven so that the racks divide the oven into thirds. Lay the meat across the racks, not touching. My oven starts at 200, so I preheated it and then when I put the meat in, cooked it with the door open an inch or two. The recipe says to cook 3 hours at 160, but I found an hour and forty five minutes with the door open at 200 was enough. When the meat is dry and still a bit flexable, it's done! Let cool completely, then try not to eat it all at once. This looks sooo good!! Thanks. I have always wanted to make jerky. I will definitely try this out! Thanks guys! It's delicious and really not as hard as I thought it might be! 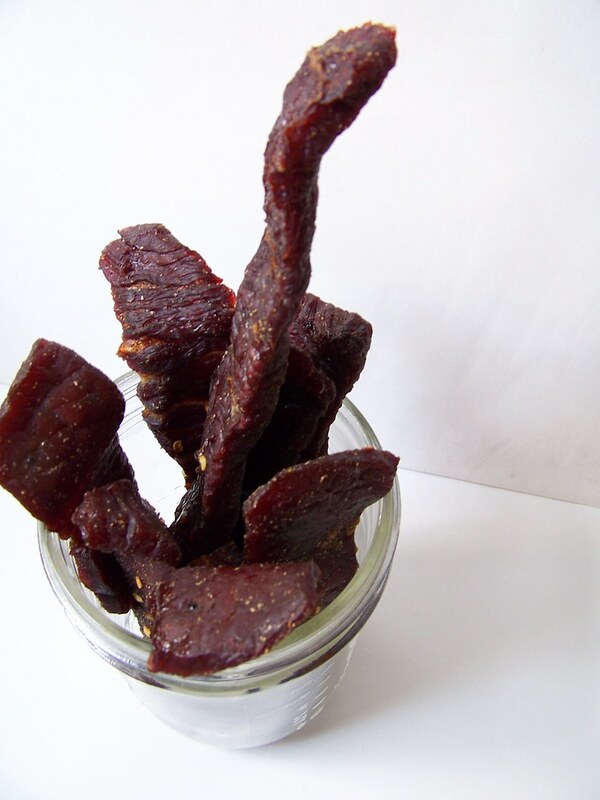 I love homemade beef jerky! This looks wonderful! fantastic! I must try this with honey in place of sugar. Then I can just pop some in all the pockets of my coats and never worry about being caught hungry again. I need hosts for Go Ahead Honey it's Gluten Free! Would you be interested? Hahahahaha, thanks guys! Naomi, email me at jillelise AT gmail DOT com and I'd love to talk about hosting Go Ahead Honey It's GF! Can this be left unrefrigerated? I have seen conflicting recommendations, but I want something that can be kept at room temperature. I believe it can, I also couldn't find anything that said for sure if it needs to be refrigerated or not. 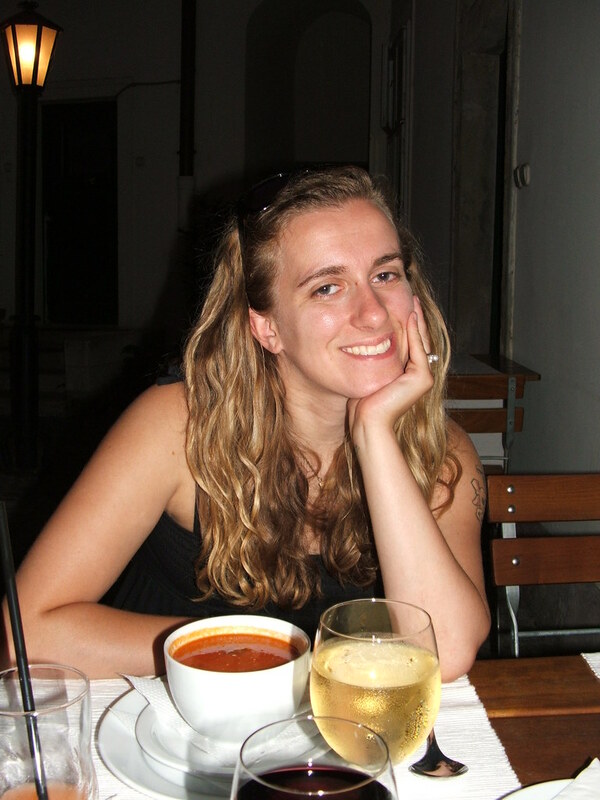 But I tested it on myself, I took it on a 27 hour train ride and it wasn't kept cold, and I didn't get sick. So I think it should be fine. looks like a good recipe! Good tip, too...slightly freeze the meat before slicing it. It makes it so much easier to cut. Even better...have your butcher slice it up for you! Good work on this post. 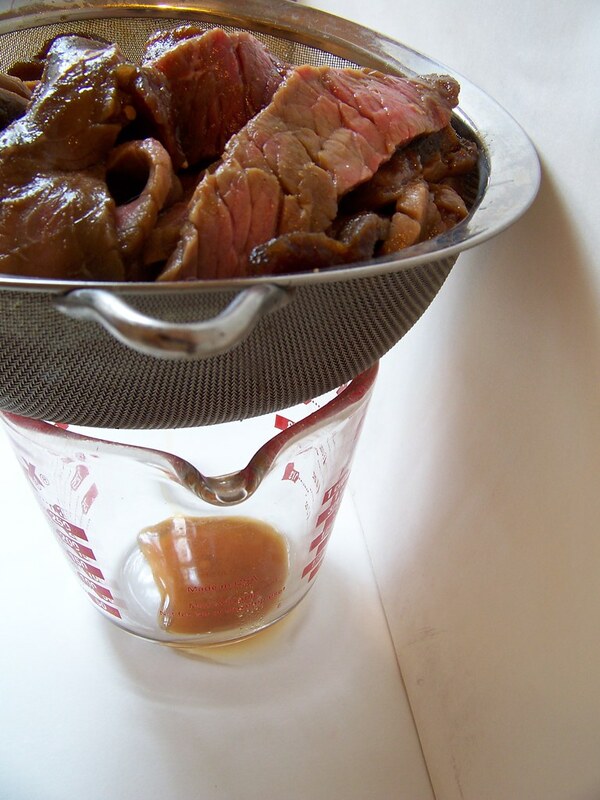 Its not as difficult to make jerky as people think. Everyone should try it! what on earth is fish sauce!?? ?